If you or someone you know was cited for a DUI (DUII) in Wasco County, Oregon, we strongly suggest you contact a professional that specializes in DUI defense, immediately. Several factors need to be considered as you handle your DUI citation, many of which are time sensitive. Whether you choose to hire our firm or go somewhere else, you should hire an attorney with an understanding of DUI law to ensure matters are handled timely and accurately. Our team of DUI attorneys has over 50 years of combined experience. If you are facing DUI charges or other related criminal offenses, you want and need Reynolds Defense Firm by your side because we know the ins and outs of the legal process. We have a group of impeccable DUI lawyers who are here to help you and your family. Our team of attorneys has 50 years of combined experience and we understand how a prosecutor will react in most given situations because we do one thing, and we do it well. We represent good people facing DUI charges. You are not legally required to have an attorney represent you in court. However, a conviction can have a devastating impact on the rest of your life, beyond the courtroom. You want the counsel and guidance of a legal professional who can ultimately minimizes the overwhelming consequences. While we prefer that you hire our team of DUI lawyers, if you do not, make sure you obtain the services from a professional who specializes in DUI laws and has a solid relationship with members of the court in Wasco County. Wasco County was named by the Wascopam Indian Tribe. 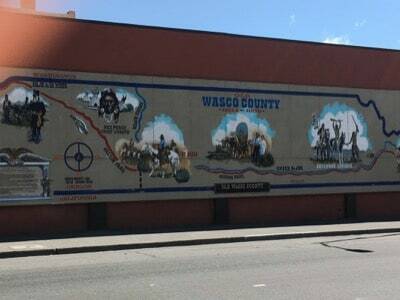 When Wasco County was created in 1854, it was the largest county ever assembled in the United States, spanning from the Cascade Mountains to the Rocky Mountains and from the California border to the Washington border. Later, 17 other counties in Eastern Oregon formed from Wasco County. 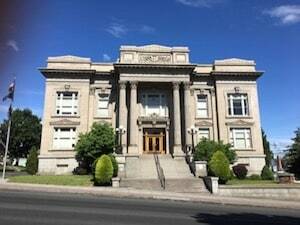 The City of The Dalles was named the county seat, which remains today with the beautiful historic courthouse that was built in 1859. The Dalles is the fourth oldest city in Oregon. At the time, The Dalles was one of the largest population centers in the Pacific Northwest, playing a crucial role in commerce, politics, military presence and inland navigation. The famous duo, Lewis & Clark, camped at The Dalles twice, in 1805 and 1806. The city was a major trade center for Native Americans for thousands of years, and the surrounding area makes up one of the most historic archaeological regions in North America. 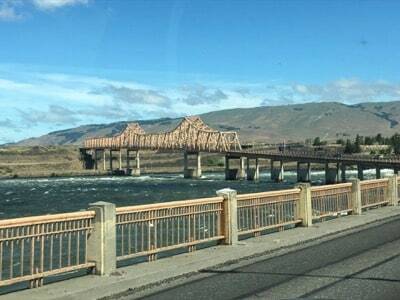 The Dalles is still the trading center for the Mid-Columbia. It has easy access to tons of recreational activities, such as rafting, boating, swimming, skiing, hiking, fishing and rock climbing. Due to its history, there are also Native American petroglyphs, ghost towns and museums. Today, The Dalles has a population of 12,000 and its major agricultural crops are cereal grains, sweet cherries and apples. Ranching is also common. A notable fact is that in 2006 Google located a facility in The Dalles and took advantage of the hydro-electric power and fibre-optic network available, and renewable resources are a major focus of the Columbia Gorge Community College, training workers to work on the wind farms in the area. If you need help with resolving DUI or other related criminal charges, do not hesitate to contact Reynolds Defense Firm. How you reach us is up to you. You can call us at 503-223-3422, submit a form online , text, and we offer a live chat service 24/7. We’re here for you however and whenever you need us.